This tutorial series will be based on this amazing guide created by Shehan Munasinghe. If you're a beginner there are several terminologies you should be familiar about, otherwise these terms will make no sense. ASP : AVR Serial Programmer. ISP : In System Programmer. 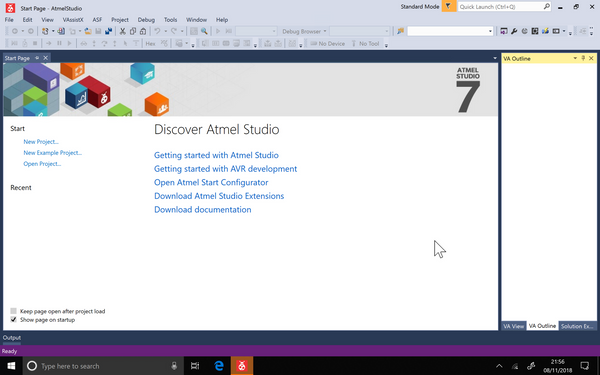 The IDE we'll be using here is Atmel Studio 7, which you can download here and install. It supports a vast number of Atmel microcontrollers so we can use it to build the code. The next step is to download the USBasp drivers which you can find here. You will find a zip file, and extract it to some temporary directory. It's highly likely that windows will tell you that third party inf doesn’t contain digital signature information. to resolve that issue, we need to disable signed driver enforcement. If you got that error, please proceed with the following steps to Disable Signed Driver Enforcement. 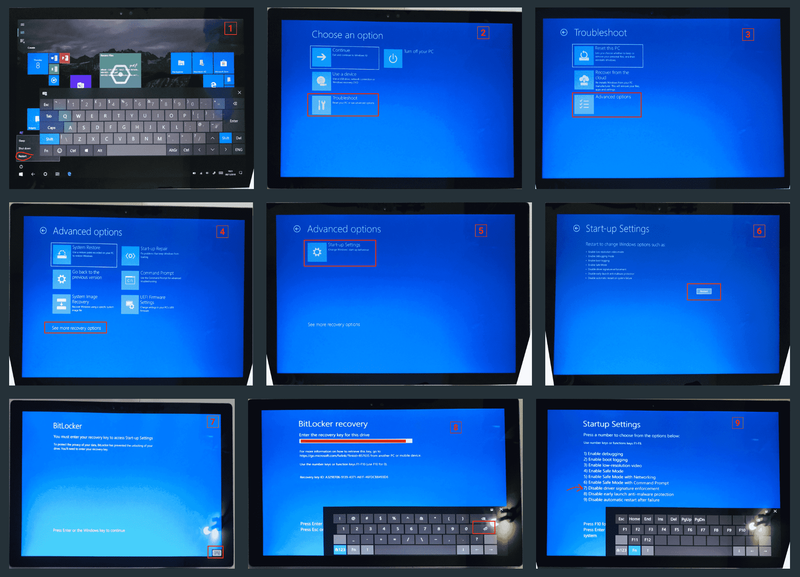 You will get a boot screen and proceed in the following sequence. 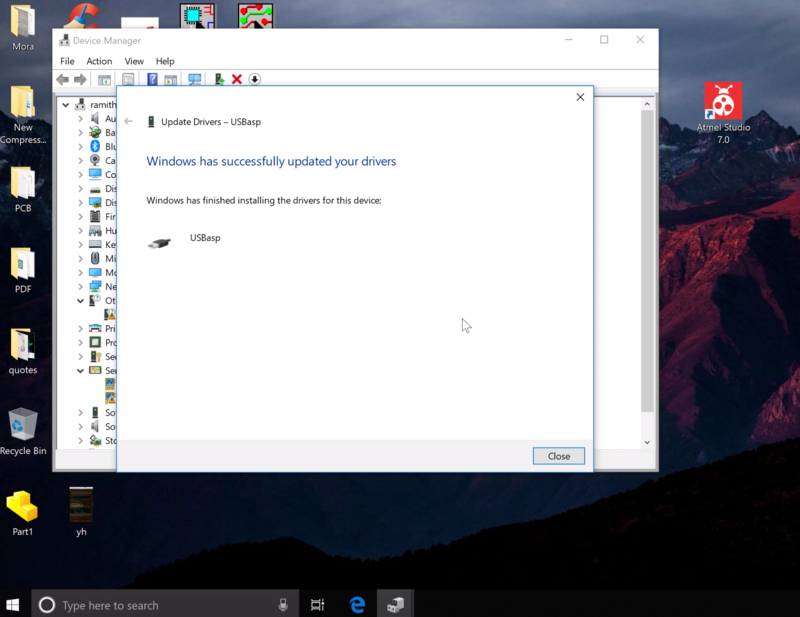 On my surface pro 4, additional steps were required to enter the bitlocker recovery key. Now the hard part is done. 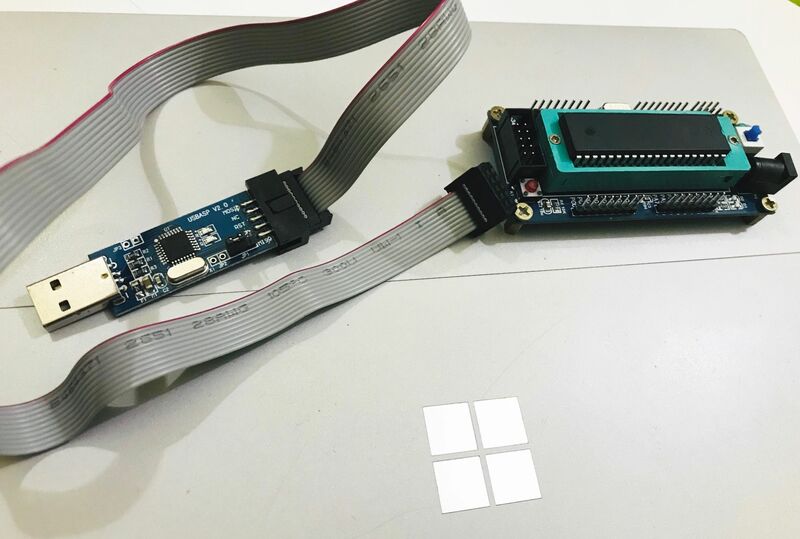 Next steps are to configure the atmel studio with USBasp so that you'll be able to flash the hex file on to the MCU once you have built the code using atmel studio. Please click this link to follow the next tutorial, if you have any questions let me know below!